To those who have never been arrested before, the entire process can be intimidating and overwhelming. What are your legal rights? How quickly can you be released? How is bail arranged? Where does one turn for a bond? Who can you rely upon? These are just a few of the many questions that are likely to run through your mind, whether it is you or a loved one that now faces criminal charges. 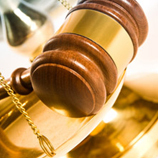 With plenty of experience in our industry, you can count on the team at A-1 Affordable Bail Bonds to provide you with exceptional service at every step of the way. We know how stressful it can be to get the call that a loved one has been arrested. It can be difficult to know just what to do, but the good news is that our team of experts is here to provide you with advice along the way. In short, you can rely on us to be there for you in your time of need. Are You Searching for Bail Bonds in Lafourche Parish? 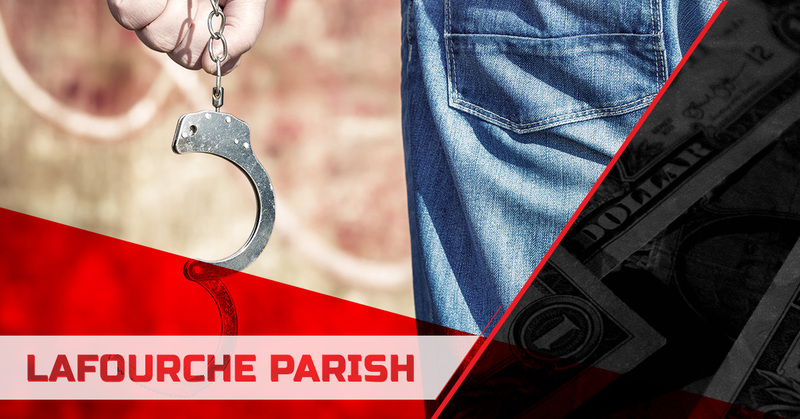 A-1 Affordable Bail Bonds is Lafourche Parish’s Top-Rated Local® bail bonds company and it is our goal to not only obtain your quick release from jail, but to act as your partner, guiding you through the entire process and court proceedings. By tailoring a payment plan that is suited to your budget and personal situation, we strive to strive to reduce the stress and eliminate the confusion you may experience during this very trying period. As we mentioned above, we know just how difficult it can be to make it through such a stressful situation, but the good news is that our number one priority is to make your life a little bit easier as you work your way through it. Backed by more than two decades of experience working as bail bondsmen in Louisiana, our team is dedicated to compassion, confidentiality, and unquestionable professionalism in all that we do. With a goal of being a resource that your family can rely upon for your legal and personal needs, we help you find the mental health assistance, addiction support, and family counseling services that you may need to improve your position with the courts and your personal well-being. In other words, we’ll make it our mission to ensure that you get through this situation and end up all the better for it. Although life is full of challenges, it’s how we react to those situations that is what makes all the difference. After all, isn’t that what life is all about? By offering 24-hour bail bonds and exceptional service to the people of Thibodaux and surrounding areas in Lafourche Parish, the team at A-1 Affordable Bail Bonds will be there for you when you need help the most. Our goal is to provide exceptional customer service, relieving any feelings of fear and anxiety and assuring that you know you’ll be treated like family. We back our experience with compassion and confidentiality, ensuring that our customers know they can rely on us to help them make it through the tough times. Our philosophy for business is based on making life easier for our clients. We believe that when you’ve found yourself in the middle of a difficult situation, you’ll need someone that you can trust. That’s why at A-1 Affordable Bail Bonds, we’ll be here day or night to provide our clients with reliable and affordable service. We’re a family-owned business and that means that we know the value of family, ensuring that we can help you through a stressful time in your life. No matter the situation, you can rest assured that the team at A-1 Affordable Bail Bonds will be there to help you in your time of need. We treat each client with care and respect because we know how difficult it can be to get the phone call that your loved one has been arrested. Find out more about how our bail services go far beyond simply obtaining a quick release by calling our client care team now. We’ll be here to help and we look forward to doing just that.